The Beautiful Experience EP was Prince‘s second release under the name of The Artist Formally Known As Prince ( Prince love symbol). 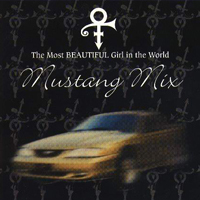 The Beautiful Experience comprised of alternate versions and mixes to the hit single The Most Beautiful Girl In The World (his first release both for NPG Records and as The Artist Formally Known As Prince) in celebration of the song becoming Prince’s first and only single to chart at number 1 in the UK. The releases had come at a point in Prince’s career when his relationship with Warner Brothers had hit its lowest ebb. 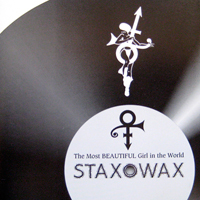 Prince had formed NPG Records to distribute the original single The Most Beautiful Girl In The World since Warner refused to do so themselves. Because that single reached number 1 in the UK – a milestone not even reached during his entire tenure with Warner Brothers, it, and the resulting The Beautiful Experience EP, which had also sold surprisingly well (reaching number 18 in the UK singles chart), provided Prince the impetus to continue his post-Warner career as an independent artist. The album for which The Most Beautiful Girl In The World was written, was eventually released in September 1995 as The Gold Experience. The Beautiful Experience is highly unusual in that whilst it is itself a maxi-single, two further sub-singles were produced from that release.